Along with after-tax profits and EBITDA, revenue is among the most critical measures of a company’s health and growth potential. Therefore, when changes take place in rules governing accounting for revenue, it is a highly significant event. Hence, the importance of the new revenue recognition exposure draft. That is the case now, as the joint effort by the Financial Accounting Standards Board (FASB) in the U.S. and the International Accounting Standards Board (IASB) move closer to issuing a global standard for revenue recognition that will significantly alter how companies account for their revenues. The planned re-exposure of a revised Revenue Recognition Exposure Draft (ED) will give companies, auditors, preparers and analysts another opportunity to weigh in on this extremely important accounting area. The Revenue Recognition Accounting Project is part of the larger effort by the two Boards to integrate U.S. Generally Accepted Accounting Principles (GAAP) and current IASB accounting standards into global accounting standards known as the International Financial Reporting Standards (IFRS). According to the Boards, the revenue recognition effort was designed to eliminate inconsistencies in the two sets of existing standards; improve comparability across businesses, industries, jurisdictions and capital markets; offer a more robust framework for addressing revenue recognition issues; and simplify the preparation of financial statements. This project, begun several years ago, resulted in the release of an Revenue Recognition Exposure Draft in June 2010, with a several-month comment period. The Boards received extensive comments from nearly 1,000 interested parties, and as a result, the Boards deliberated further for several months into 2011. After making significant alterations to the original ED based on these comments, the Boards jointly announced in June that they will re-expose the revised ED, most likely in the third quarter this year, with an additional four-month comment period. Further refinements and alterations to the ED are likely following the comment period, with the release of the final Revenue Recognition standard now anticipated before the end of 2012. The Boards said the core principle of the new standard is that revenue recognition should reflect the “consideration” a business “expects to receive” in exchange for the transfer of goods or services to customers. Applying this principle, the Boards say, will require a business to: (1) identify contract(s) with a specific customer; (2) identify the separate performance obligations in the contract; (3) determine the transaction price; (4) allocate the transaction price to the separate performance obligations; and (5) recognize revenue when the entity satisfies each performance obligation. Clearly, the changes embodied in the new standard are complex and represent a major shift in revenue accounting. Given the substantial amount of time the Boards are providing for the second comment period, it is also clear that the Boards expect further significant comments on the standard before it is published in its final form. The reason for this lengthy deliberation and comment process is, of course, the importance the standards-setting bodies attach to revenue recognition. § Identify and assess the revenue streams that may be affected by the new standards. § Consider whether your systems are able to deal with these changes. § Assess the impact on your company’s financial controls. § Determine if the accounting changes affect the company’s compensation and bonus structure. § Assess how the changes affect the company’s budgeting and forecasting processes. § Ascertain whether the changes affect the way investors assess the company’s performance. § Assess whether the internal resources are available to deal with all of these changes. § Consider if there are ways to “extract more value” from the firm’s products and services by tying the firm’s revenues to customers’ performance. § Consider the impact of the new rules when entering long-term contracts. The bottom line: Changes in revenue recognition are going to heavily impact your organization’s overall business once they become effective, and it is critically important to begin addressing systems, processes and other issues that will need to be adjusted when the rules become effective. 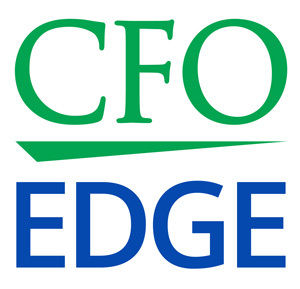 Some firms may find that they don’t currently have the expertise or capacity to address the coming changes in revenue recognition, and CFOs at these firms may wish to consider outsourcing these activities to a project CFO or part-time CFO from a CFO services firm that can provide the needed additional bandwidth and expertise.